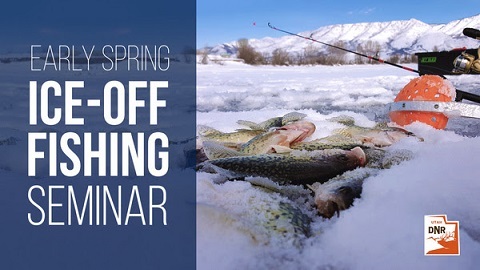 Wednesday, April 3 from 6-7 p.m.
We're teaming up with Bass Pro Shops, Cabela's and Priority One Fishing to offer you this free ice-off fishing seminar. Ice off means hot fishing, and we don't want you to miss out on it this year! Angling experts Bryan Losee and Ian Munson will discuss what happens at ice off, how fish movement and feeding habits change, tackle selection suggestions and angling technique tips to successfully catch hungry fish. These experts will also discuss ice off fishing at Strawberry Reservoir, specifically. Anglers will come away with information they will be able to use to fish additional ice off hotspots in Utah, such as Panguitch Lake. Join us and get excited for early spring fishing in Utah! Spots are limited, so be sure to sign up today. Questions? Call Michael at 385-225-4322.